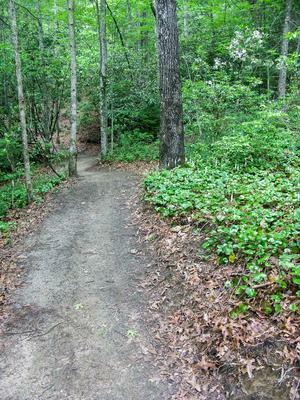 This old road is reverting back to a singletrack trail. 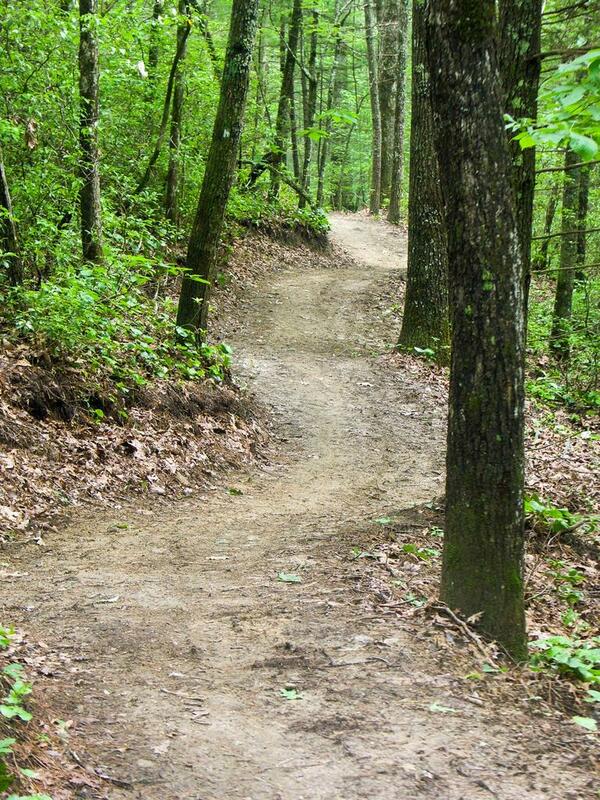 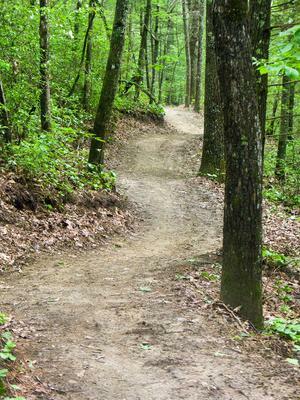 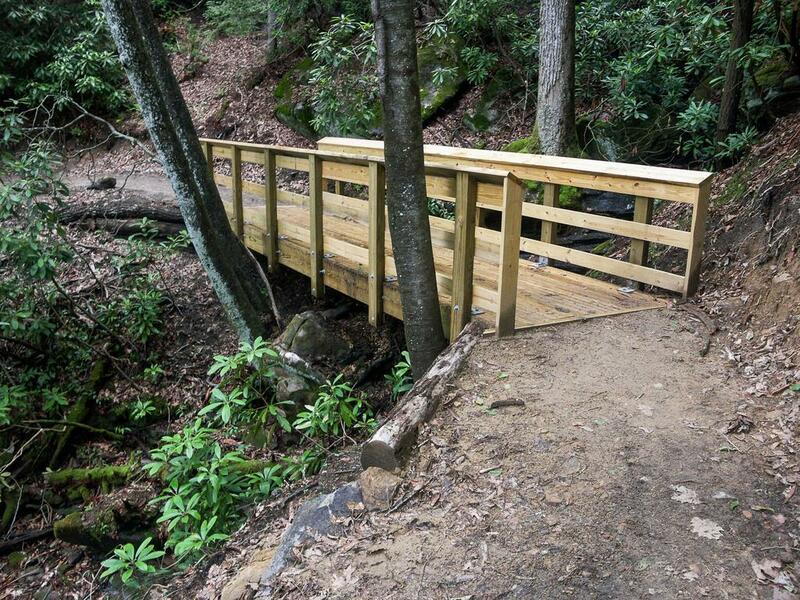 The new extension from Pinnacle Mountain Road down to Briery Fork trail (a true trail, built early 2013) opens up many more loop hiking options in the south portion of DuPont SF, including a longer loop around Lake Julia. 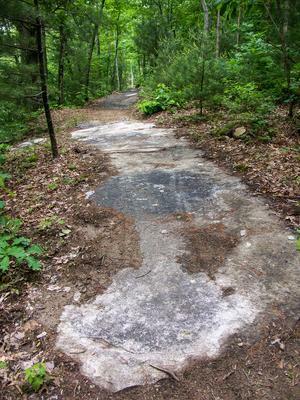 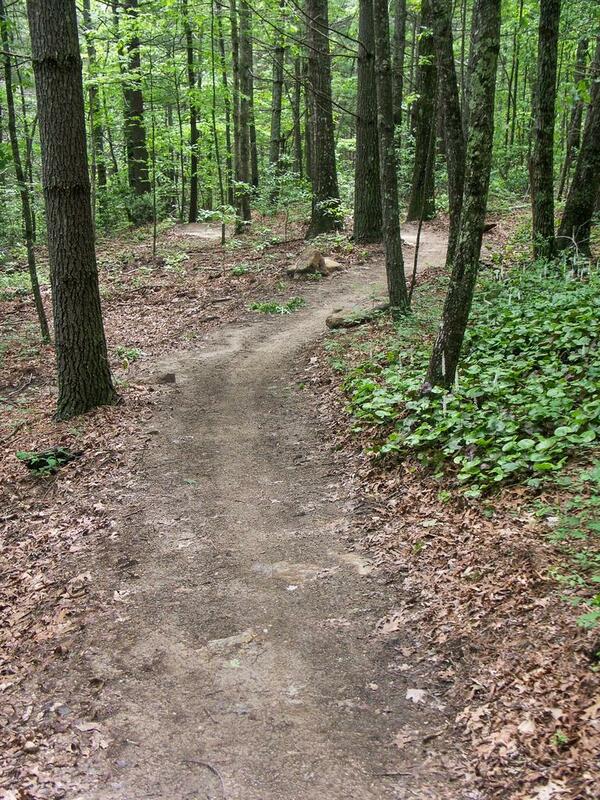 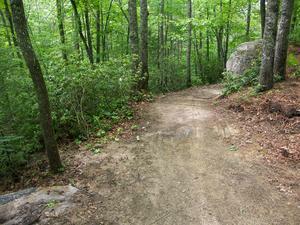 This is a well designed, winding trail with a couple of neat features built in, including some rock outcrops. 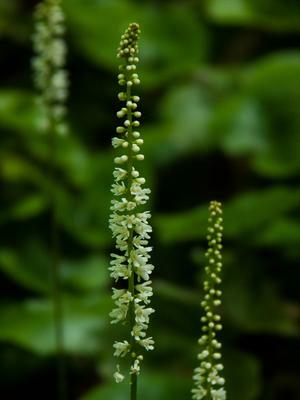 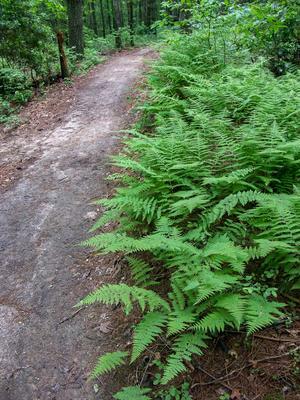 Travels through vast areas of galax groundcover, which flowers along with the mountain laurel in early June. 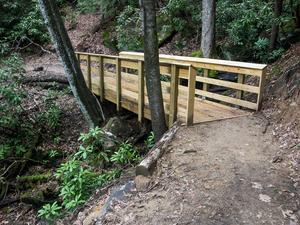 It passes through a couple of switchbacks, across one neat bridge and has a creek crossing. 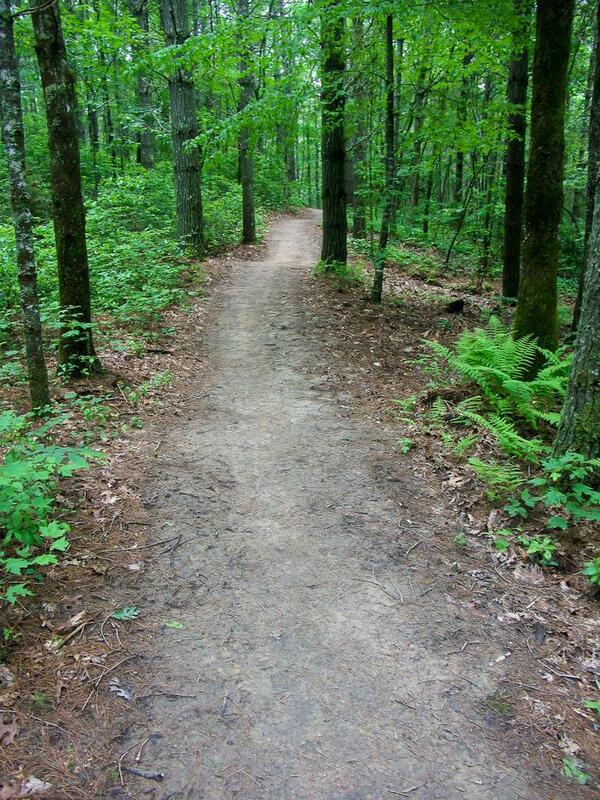 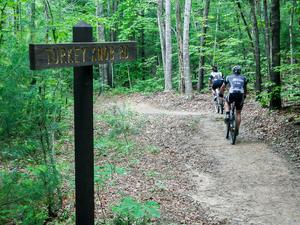 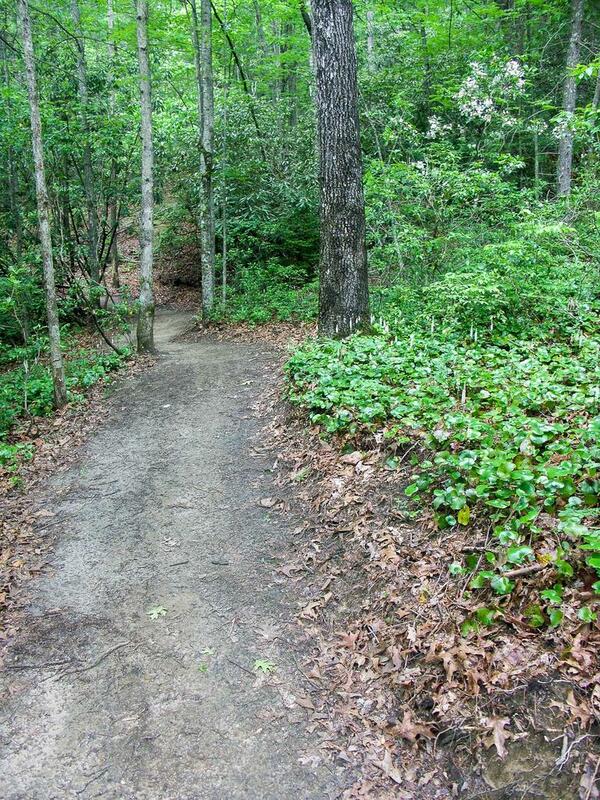 The trail ends at Briery Fork in a forest of white pines. 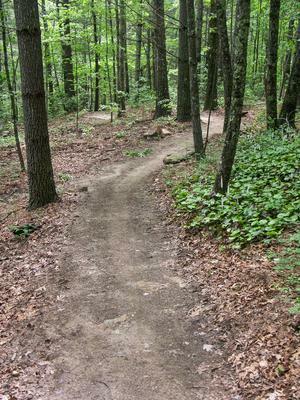 This segment is well graded with plenty of rolling dips for drainage. 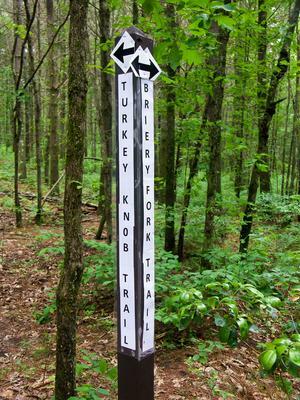 Turkey Knob - Poplar Hill Loop NE to Pinnacle Mtn Rd. Turkey Knob - New Ext. 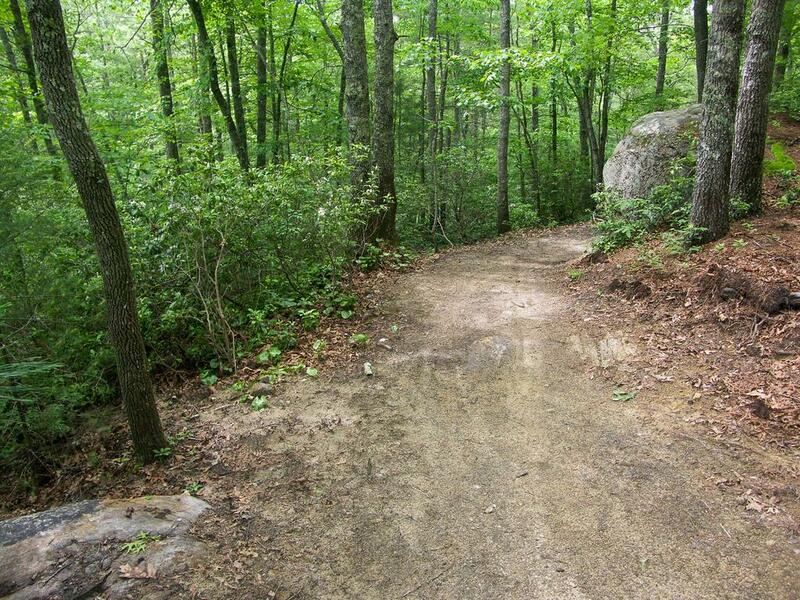 to Pinnacle Mtn Rd. 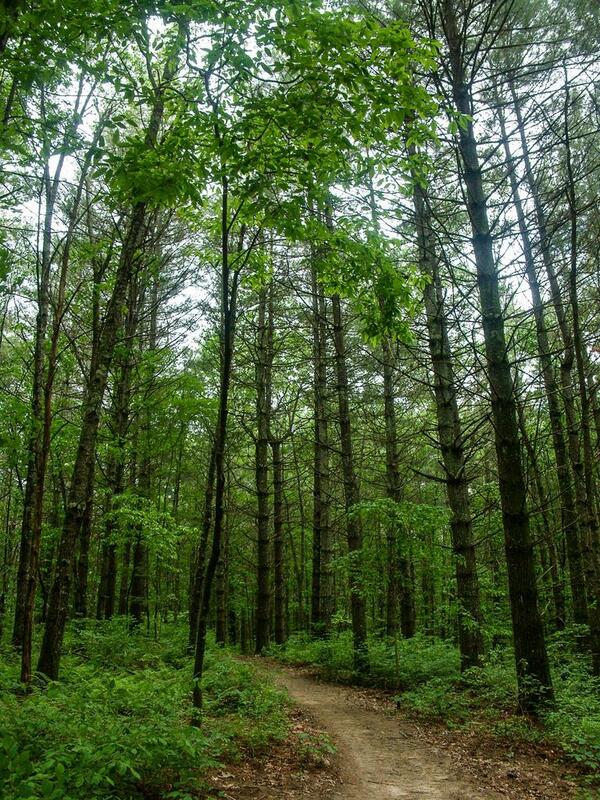 Carolyn said: Thanks. I was missing this segment of data.